Explore the construction of a perpendicular line through a point NOT on a line. Summarize the properties and construction of perpendicular lines, points, and circles. 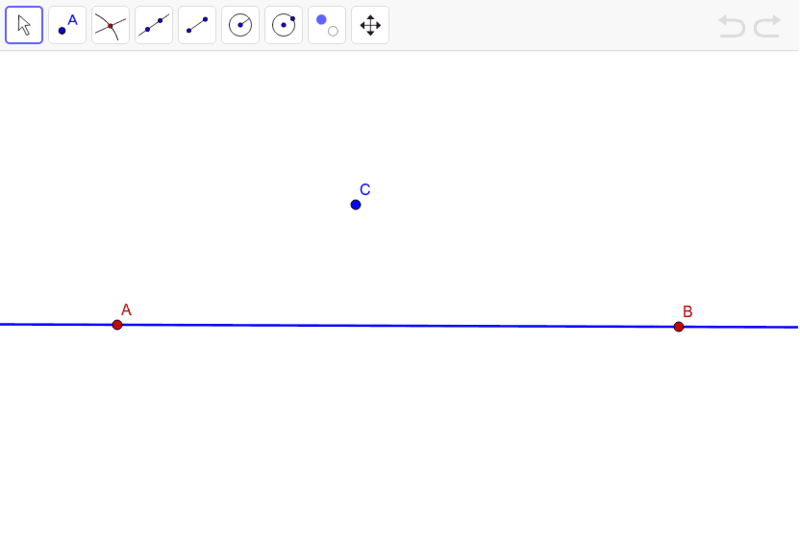 Hint: If you are not familiar with the construction steps necessary for the perpendicular line through a point NOT on the line construction, you might want to explore the applet below. Just use the buttons of the Navigation Bar in order to replay the construction steps. ﻿3. 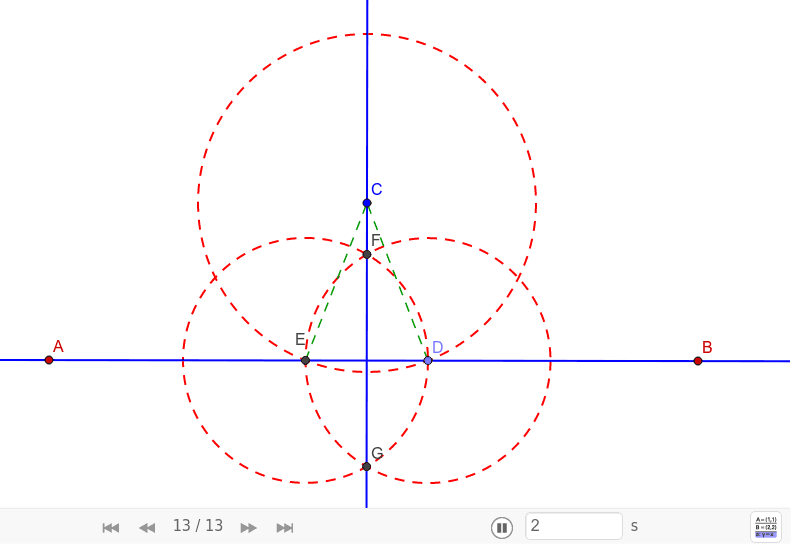 ﻿ ﻿Construct the second intersection point between circle c and line AB. (point E) ﻿ You can construct segment EF and FD to explore their relationship. ﻿4. ﻿ ﻿Create circle ED.﻿ (Circle d) ﻿ ﻿ ﻿You can also construct segment EG and GD to explore their relationship.